Thousands of millennia before the first European settlers came to the North American continent, humanity’s ancestors have relied on trees for sustenance, survival and well-being. Even today, the native trees of North America (not to mention introduced species) can provide for all of our basic needs if we know how to harvest, process and prepare them. Different species of mulberries are common in many parts of North America, both native and introduced varieties. 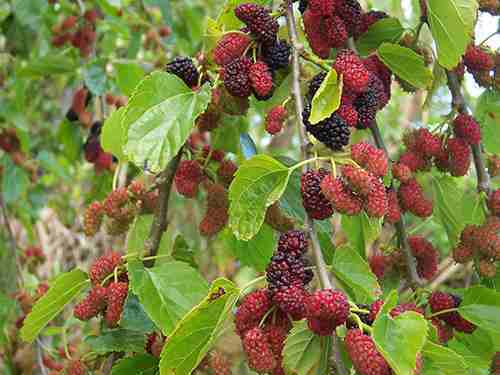 If there are no mulberries in your area, consider planting them (especially the endangered North American Red Mulberry (Morus rubra). The delicious, sweet, edible berry of most all species can be eaten raw, made into preserves, dried, or dried and powdered. The young shoots and unfolding leaves of most species such as Morus rubra, and Morus alba, can be eaten raw or cooked. Morus alba has a long history of use by the Chinese for medicine including for treating everything from toothaches to tinnitus, depending on the part used, and modern research has substantiated many of these traditional uses. The leaves can serve as a nutritious fodder (forage crop) for livestock. A fiber can be obtained from the bark of young stems, which traditionally has been used for weaving clothes, or making paper. Basswood, or Linden, are found in rich, often moist soils of woods and bottom-lands, and are unique among North American trees for their variety of uses. Young leaves can be eaten cooked or raw. Older leaves can be cooked as greens. The sap can be drunk, or made into syrup. The sweet flowers can be eaten raw or made into tea. Caution: excessive use of the flower may cause heart damage so use sparingly. A chocolate substitute can be made by grinding dried fruits and flowers into a paste, though it is not long-lasting without somehow drying or freezing it. A tough fiber can be obtained from the inner bark by soaking in water and boiling, followed by rubbing it on a stick or similar to separate fibers, which can then be used for thread, fine yarn, or cordage. Care should be taken not to girdle the tree or limb when harvesting bark on this or any tree. The soft wood, cut from branches, can be carved and worked to make wooden utensils and furniture. There are several types of willow in North America, including weeping willow (Salix babylonica), and greenleaf willow (Salix lucida). They typically grow in wet soils near swamps, marshes, rivers, or lakes, just like the versatile cattails. 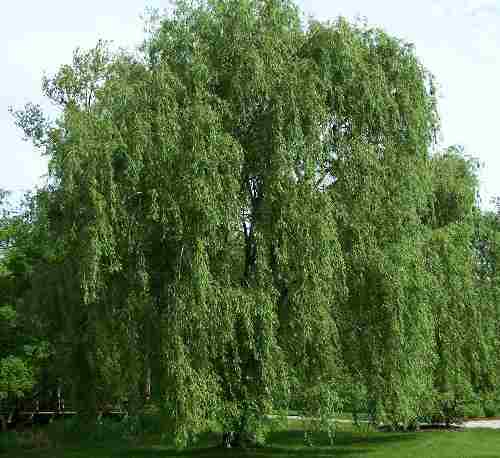 The fresh bark of all willows contains salicin, which is closely related to aspirin, and can therefore be used as a painkiller or for fevers and headaches. Many species have stems that are very flexible and are used in basket making or similar. Willows can be coppiced annually, and are therefore useful to have on your property for continual production of woody material. The twigs and bark can be boiled to extract rooting hormone which can then be used to root other plants. Some species, such as weeping willow, have an edible inner bark that can be dried, and ground into a powder for later use in cereal or bread (though it is bitter and considered a famine food), and their young shoots and flower buds are edible cooked. Walnuts, including black walnut (Juglans nigra) and California walnut (Juglans californica) can be an extremely useful tree if you are lucky enough to find them. The nuts are a delicious and nutrient rich food, with a sweet, rich flavor. They ripen in late autumn and can be de-hulled, dried and stored in a cool place where they will keep for up to 6 months. Roasting extends storage times. A brown dye can be obtained from the nuts and their husks, as well as the bark, leaves and stems. Husks can be made into high quality coal through burning with low oxygen, and coal can then be used to filter water. Substances obtained from husks and other parts of the tree contain the toxin juglone, which can be used as an insecticide or herbicide (though it will kill the life in the soil and most plants, not just weeds). Different species of this common tree our found everywhere in North America, from the prairies, to dense dry woods, gravelly ridges and sandy plains. The highly nutritious nut can be eaten raw (in some species) or cooked, and are sweet usually if edible. Oak nuts (acorns) were used as a staple crop by many Native American peoples. 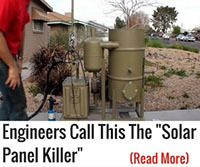 Any bitter tannin must be leached out by rinsing the dried, ground up meat in water thoroughly. Traditionally seeds were buried in boggy ground overwinter and after germinating were then eaten. They can also be dried and powdered for use as a flour. 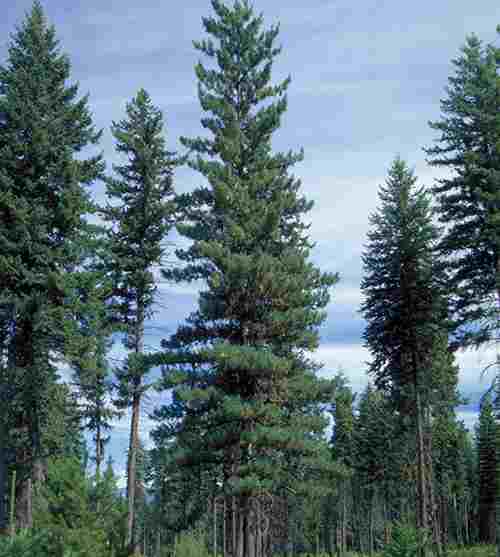 There are many species of pine in North America found across the continents, often making up a large percentage of the trees in a forest. Seeds are edible, though most species’ seeds are small (Sugar Pine or Pinus lambertiana has a larger seed though, for example). The fresh needles of many species can be brewed into a tea rich in vitamins, especially vitamins C and A. A candy can be made by boiling new shoots of some species in syrup. The inner bark of some species can be eaten raw or cooked and has a sweet flavor. 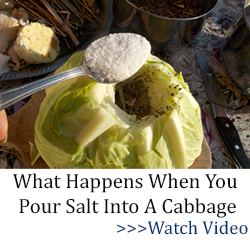 It can be dried and ground into a powder to be used as a thickener or in bread. Pitch obtained from the resin can be used to waterproof boats, containers, and as a preservative. Pine tar can be obtained by cooking the wood in a closed container. This is an excellent, dark colored wood preservative. Found in a wide range of conditions throughout North America, this magnificent tree is famous for many, many uses. The inner bark (best in the spring) is edible raw or cooked. The sap raw or cooked is a sweet drink, and can be made into a syrup or fermented to make beer or vinegar. The very young leaves, shoots and catkins are eaten raw or cooked. A tea can be made from young leaves and root bark. 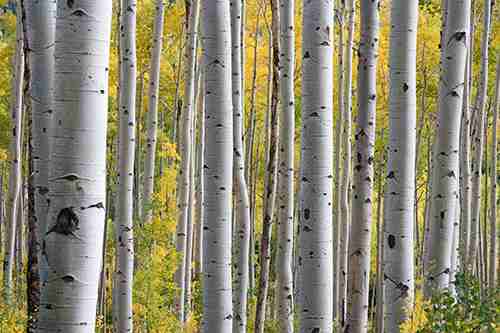 The outer bark was traditionally used in making cups, canoes, shingles and buckets. Be careful to remove only the thin outer bark so as not to kill the tree. The outer bark can be used to prevent snow blindness by cutting a strip and placing it over the eyes with the natural openings used as holes to see through. The bark is an extremely good tinder, burning easily and quickly. Cherries can be found across the continent on most types of terrain and are useful for more than just their nutritious fruit. Abundant fruit is edible raw or cooked and many varieties are sweet, though just as many are sour, bitter, or worse. Although most cherry seeds are poisonous, some may be edible if they are not bitter. 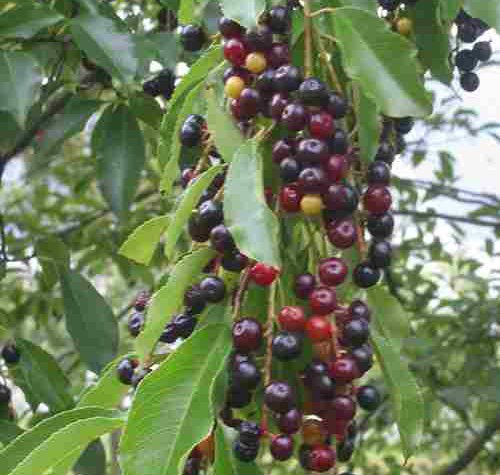 An extract from the bark has been used commercially as flavoring for drinks, treats and baked goods, particularly from the rum cherry (Prunus serotine). A green dye can be extracted from the leaves. Although not the most common tree on the continent, if you are lucky enough to come across hackberries, you are in for a treat. 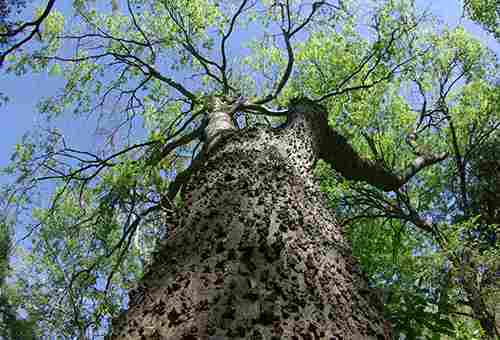 Common hackberry (Celtis occidentalis) is found in Eastern North America in different types of soils mostly along riverbanks, while sugarberry/sugar hackberry (Celtis laevigate) is found further south, down to Florida and Texas. The fruit is edible, being sweet and delicious. It contains a single edible seed, though in some trees it can be too hard to bite, so be careful. The fruit and seed can be crushed to create a delicious treat rich in protein, fat and carbohydrates. The whole fruit can store for many months simply by placing it in a paper bag out of sun in a dry place. The berries are more easily collected once the leaves fall by placing a tarp or blanket under the tree and shaking the branches. Found natively in eastern North America, these trees are also planted elsewhere throughout the continent in a variety of conditions. The seed is edible raw or cooked, tasting like raw peas, and they are high in protein and carbohydrates. The pulp of the seedpods is sweet and can be eaten raw or made into a sugar. Tender young seedpods are edible cooked. The pods are great fodder for livestock. The wood is hard, rot resistant and shock resistant, and can be used for fence posts and tools. Whether you want to learn to survive in an emergency situation, or simply to become more self-sufficient for other reasons, trees are an indispensable resource for survival. 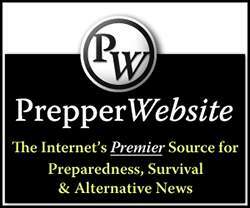 Keep in mind that the uses above are only a fraction of the many uses for each of the trees listed, since a thorough list of survival uses could easily fill an entire article (or book) for each tree. Let this be a starting point, then, for your continued study of these and the many other species of trees that grace our terrestrial landscapes, and stay tuned for future articles. “The tree of the field is a man’s life.” I don’t remember the chapter and verse, but it is in the old testament, and it explains thoroughly just how important trees are for survival. Good job Treemaiden, excellent comment. I would also like to add A little info about the black walnut. The GREEN black walnut can be used as a toxin to kill ringworm. 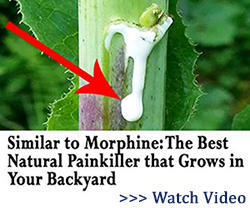 Just slice off the green shell around the nut and rub on the infected area. This was used on me by my grandparents when I was young. It worked well. Another useful thing about the green bark around a Black walnut is to cut it in half and through it into a pond and it will bring fish to the surface. They are easily caught by hand, but only use a few, depending on the size of the pond. About 3 or 4 per half acre. 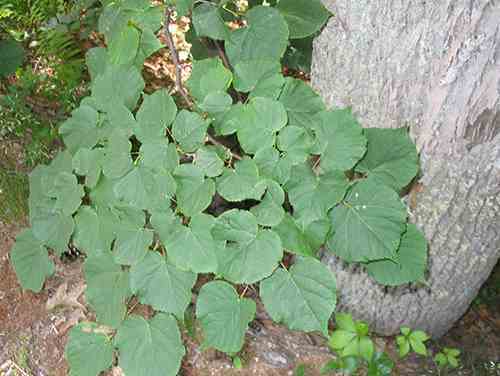 It is easy to make a tincture from the green hulls with vodka or everclear to use as a dewormer or antiparasitic. In fact I have 10 gallons sitting now. black walnut are a good dewormer for people and at least dogs. Just do not pasture horses with a black walnut tree. 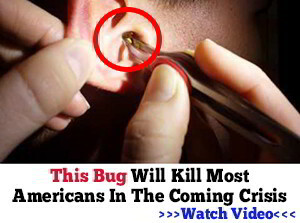 They think it is an apple and it will kill them. We let the nuts dry until the hull is black, Then, removal of the hulls is easy. can be used for fabric dyes. can also be mixed with turpentine to apply to logs as a pesticide. Then, we crack the nut shells as a family activity while watching Football games at Thanksgiving. how do you prepare it for use a a dewormer? Yo, What about the Mesquite Tree of the southwest? Your list seems to be very “Northeast” oriented! As I understand it the Indians used just about every part the the Mesquite tree for something. Seed pods, wood, roots, etc., etc. The Pac Northwest has similar riches. Dave , yes, I was going to ask, about those of us who live in the desert? I know some cactus one can cut open for water. The Pears on cactus can be used to make jam/ jelly. The ‘leaves’ on some cactus can be eaten, but the spines, are very painful! I tried it once. So, Yes, can we get some information about SOUTH WEST TREES, ETC? THANK YOU. I used to pick cacti and cook it. If you burn the cacti over an open fire to burn the needles out, you wont have to worry about them. I fried mine in a pan with butter with nothing on them. The key is to get the “thin”ones. They taste like fried green onions with just butter, no flour. Prickly pears are getting ripe! Been picking mesquite for a couple of weeks, now, and wish the garden did as well as the miles of brush back of the house. Sarah, where is the tree, that produces those big PODS? I assume they can be eaten? Is that tamarind? When talking Honey Locust, there should be a “caution” included. They are very invasive and the seeds remain viable for years. I talk from experience. I’ve had to pull (very hard to do with this tree’s seedlings) hundreds, thank to my next door neighbor. Finally, he had too many and after not listening to me for years, figured out that unless you have way more than 1/3 acre (his lot and mine), that is a bad choice. He cut down both big trees, with a lot of pain from the thorns, and 3 years later the seedling keep coming up. At least he gave me his vegetable plot to use (for all those seedling that show up in mine and because he’s lazy). 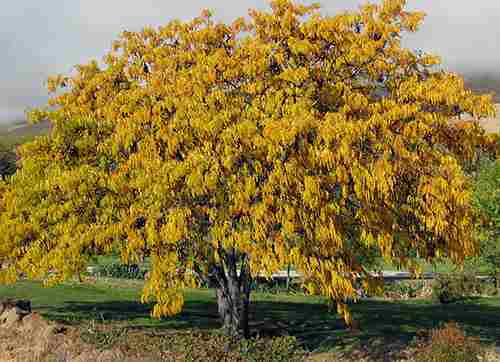 We have Tamarind tree in Texas that produces a large brown pod which has a sticky substance covering the seeds inside. We scrape it and make a tea out of it or a sauce. It is absolutely delicious and medicinal. It is common in Mexican and Indian cuisine. Has to be pods from black locust tree. Author didn’t mention that the abundant flowers are edible. The thing about this is that you need electricity to run a “machine” and that’s good if you’re in area that has electricity. Not so good if you’re in the bush or desert or even a city w/o power. Be careful on the cherries as when the leaves turn brown and brittle in the fall they become toxic to livestock if they eat too much. What about the Moringa tree. its planted in third world countries to provide food for the villages. Very nutritious and all parts edible, grows in USA. The Black Locust blossoms taste somewhat like peas. My mother used to put them into pancake batter, the same with elderberry blossoms. My carpenter brother said the wood is the best for making tool handles. I was told if you put posts of Black Locust upside down in the ground they won’t rot but have never tried it. I planted a few large black walnut posts right side up about 10 years ago and they look like they are rotting. I like using mulberry for gate posts…not in the ground. They dry out to be very light weight and last forever. Walnut has a lot of sugar in the wood, like maples, and bugs and fungus love it. Black locus is the best fencing wood. it’s toxic to everything and Grampa had fence posts thaty lasted 90 years (not joking) in Pennsylvania beforer tyey had to be replaced. in one of the first pictures, a person is holding what looks like a dried-up banana, what is it and what kind of tree is it from? This is a “pod” from a locust or tamarind tree. I can attest to the locust posts’ longevity: between June of 1974 and October 1974; my dad and I planted several hundred (maybe a couple thousand) Locust fence posts at 15 ft intervals, to enclose a quarter mile square of pasture. Most if not all of those posts still stand, even though the 5′ fence has rusted away. Each post went in 3 1/2 ft due to frost line-not a single one heaved up over the first winter. Going back to wrestling when school started was a bit of a surprise-seems all of that upper body work translated to upper body strength! Please do Not try to drink water from a cactus!!! The fluid in the cactus is poison. 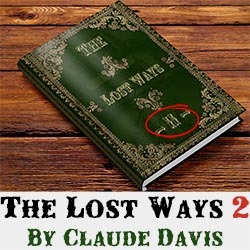 People think it is a survival trick, because John Wayne did it in a movie and the Army I think it was, put this in their survival manual. What the movie did not show was the prop people cutting the cactus a day before shooting the scene, scooping out the cactus and filling it with water. Sure made John Wayne look good! Awesome info here. I run a local tree service and even I had no idea how useful some of these trees are. Great post! their basic subsistence food, it is very moving to see where they sat on basalt outcroppings along the river and ground the beans with sticks, many of the grinding holes have been worn into the volcanic rock as deep as an arm could reach to extract the meal. I have a bench in a beautiful grove of mesquites where we can sit and drink a cold one after the chores and watch the butterflies and hummers in the wildflower area. Mulberries will grow in all 48 states of the US and most of Mexico. Lots of varieties, but make certain you get both a male and female tree. Willows? Ours aren’t real willows, but nice flowing trees. Elsewhere in Arizona, they do have black willows. Black walnuts here are Arizona Juglens. Same as regular black walnuts, but they have a fuzzy husk. Trappers take black walnut husks to boil their traps in to kill any scent. The oil is used to make a tar soap for the same thing, but used on humans. Water from boiling was used to coat humans to ward off bugs. Shells are fantastic for a good, fierce heat and make an excellent charcoal. Ground, they’re used in sand blasting. 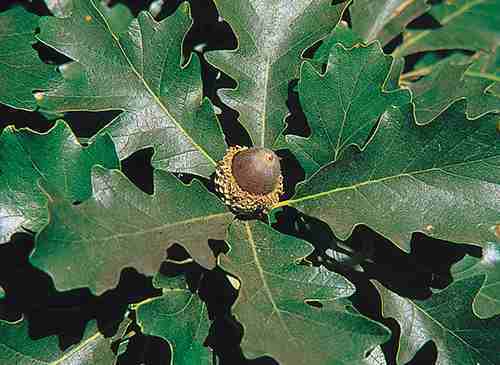 Oaks: Best ones are Blue oak, which tastes like hazlenuts when roasted. Blues have no tannin, but must be processed (roasted) to kill anything and so on feeding in them. Please find and raise a few bushes. They make good foundation plantings in the desert. Very slow growing, good-looking and tough. Next best are Englmann’s Oak, which is also tannin free, but the leaves aren’t. These two will also grow at higher elevations than other types. Pine: Best one is always pinyon. Very tough, drought resistant, but looks like a natural Christmas tree. Very tasty. Please pick the cones, not knock them down or you’ll harm the tree and next year’s production. Also, most trees and groves are ‘owned’ so make certain if they’re not on your land, you have permission to pick them. Birch: None around here that I know of, and I like black birch tea (add some sugar and yeast and bottle for birch beer). Cherries: Best one for the area is Capuli (Aztec for schoolhouse) or Capulin. Blooms later than most, drought tolerant, good for planting Zones 11 to 7, ripens way ahead of other cherries, and will begin to bloom at 3 years old from seed. Also, it can get to 45 feet in that time if you water it. Next to them, sand cherries, drought tolerant, grow to 5 feet tall at most, produce sweet black cherry at 2 years old from seed, bloom for 30-45 days to miss any frost, ripen several month after standard sweet cherries, will sucker and make a nice hedge if allowed to. Cannot tolerate shade or too much wet. There are varieties in every state including Alaska. Will not produce in Zone 9 to 11, but thrives in Zone 3, the rat. Hackberries: Sugarberries. Tasty, but the wood is trash. Honey locus: Not after eating honey mesquite. And, if a second crop is wanted each year from mesquite, just give it a good drink several times a week after the first crop is started. It doesn’t get as tall as HL, and you can eat mesquite leaves. Use like you would clover or alfalfa. Mesquite is drought resistant, HL isn’t. The tuna cactus (prickly pear) is getting ripe. Last spring, the leaves were picked to make nopalitos. When doing any work on only cactus, always use tongs and heavy gloves. Thornless does not mean thorn free. They still have glochids (hair-like thorns). If you get into them, use masking tape to pull them out. Plums: Native plums are small, but sweet. Tolerate drought, heat, extreme cold, and make good goat brows (or deer, for that matter). Will sucker into a tall hedge. Need a little more water than we get in rain, but they’re cool. There are playing cards for wild edibles and for trees. So, you could play cards and learn your trees. This is just a starter list. There are so many uses for trees. 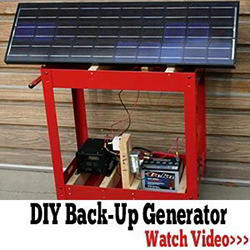 Including growing edible lichen, moss, and mushrooms. Very few mushrooms are edible–don’t take the chance unless you can recognize boletes. Shelf fungi may be edible but too woody to be really useful. Don’t know about moss, but lichen is like cardboard and–other than staghorn lichen–most kinds (at least in the West) really can’t be harvested from the surface of rocks. I want a real book i can study and take with me.